Catholics throughout the world should welcome Bishop Athanasius Schneider’s timely op-ed “On the Question of a Heretical Pope,” released March 21. The position adopted by the Auxiliary Bishop of Astana on the canonical consequences of a public acknowledgment of a pope’s crime of heresy—denying he may lose the Papacy in any event—enriches the theological debate and adds to the two positions hitherto accepted as theologically most probable, i.e. the automatic loss of office (Saint Robert Bellarmine’s thesis, taken up in the few last decades by Arnaldo Xavier da Silveira), and deposition by the Church (Cardinal Cajetan’s thesis, presented anew in recent years by John Salza and Robert Siscoe). However, even more important than this enrichment of the debate are the timely and practical suggestions that he proposes to guide the faithful as to the attitude they should take. These suggestions are valid in any of the three hypotheses mentioned above. From a theoretical point of view, this is all the truer because the Church Magisterium has never made a pronouncement on this issue, and thus it is a matter of opinion. 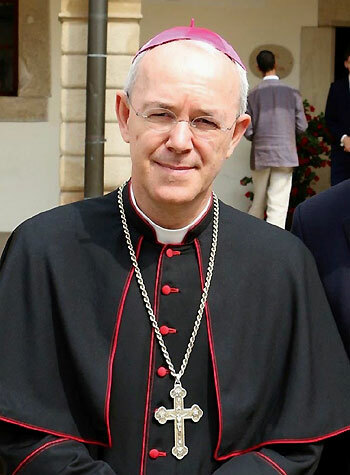 One of the practical means he considers legitimate is the obligation to cease habitual ecclesial relations with a heretic pope to preserve one’s faith: “In the case of a criminal or monstrous father, the children have to withdraw themselves from him or avoid contact with him,” says Bishop Schneider. 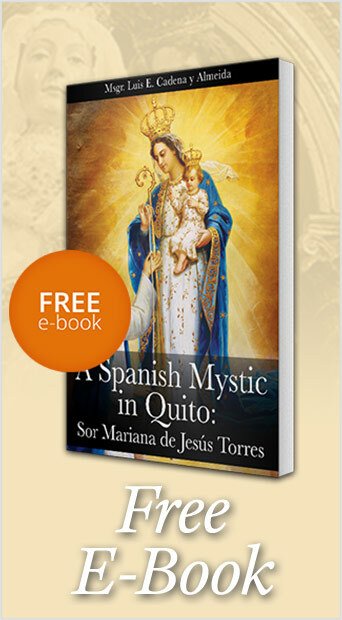 Purchase the Book here (Free Shipping). 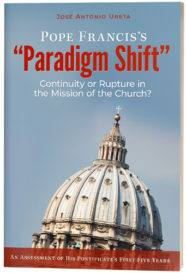 Cessation of the habitual exercise of ecclesial relations with demolishing shepherds is precisely what is proposed to the faithful in the book titled, Pope Francis’s “Paradigm Shift”: Continuity or Rupture in the Mission of the Church? Plinio Corrêa de Oliveira offered this solution in the ’70s to leaders of the Chilean TFP when the local episcopate openly helped communists to take control of that country. The book notes that this interruption of habitual relations is analogous to the right to dissolve conjugal living, which canon 1153 § 1 of the Code of Canon Law recognizes “If either of the spouses causes grave mental or physical danger to the other spouse or to the offspring or otherwise renders common life too difficult,” notwithstanding the permanence of the marriage bond. This entry was posted in Catholic Perspective and tagged Athanasius Schneider, Catholic, Church, faithful, Francis 1, heretical Pope, Pope Francis, Pope Francis’s “Paradigm Shift” by José Antonio Ureta. Bookmark the permalink.